Open learning concept has helped many people get college level education without having to enroll anywhere. Many e-learning sites are not-for profit and you can learn without paying any money. Below you'll find apps that provide college level degree courses, citations, expert seminars and few other educational reference tools. This app has courses for school, college and post graduate level. You may find the courses designed with United states educational syllabus as benchmark. The app is free of cost and you don't have to pay a single cent to learn. The app has funding from the major corporations and the content is regularly updated depending on demand. It has now structured few courses based on the geolocation. So for Indian users the app may show less courses due to some courses being specific to US based users. It has also preparation courses for IIT-JEE and few other competitive exams like GRE, GMAT, SAT etc. There are also some other random courses that are aimed at more of a general knowledge. For example, learning trail that includes visit to museum and few other seminars such chat with entrepreneurs. 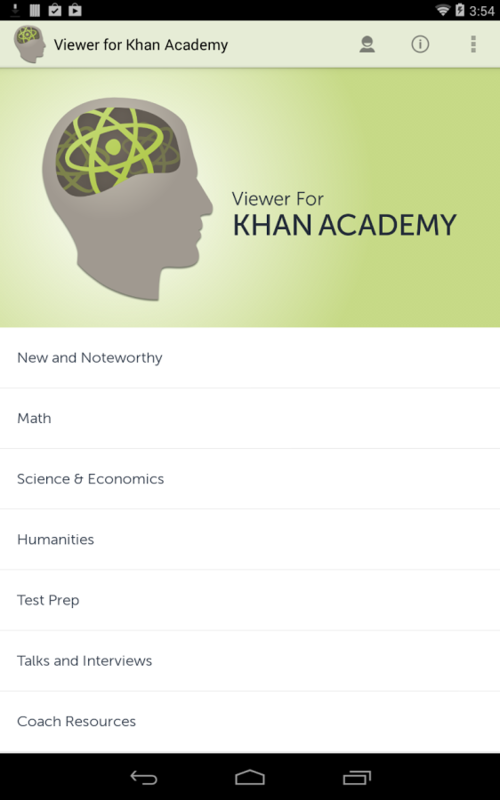 Khan academy has created some of the quality videos that are not only informational but also free from commercial distraction and they focus on the specific content. If you're interested in learning foreign languages then this is the app for you. You can learn Spanish, french, Italian, English and Japanese. There are also section for foreign language users to learn English. Once you download the app you're asked to register with a profile. Then you choose language to learn. Each language has levels for users to complete. 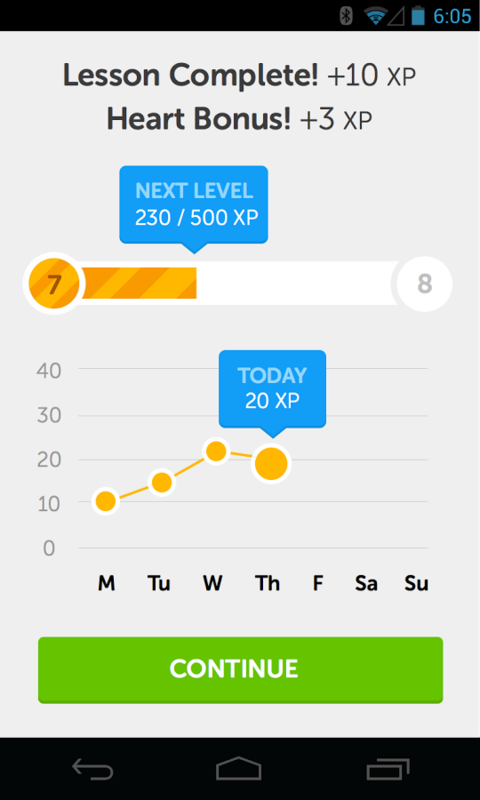 As the user completes the level, badges are awarded. And if by any chance user fails to finish specific level with threshold points, then you have to restart the level and learn from the scratch. This is good if you are trying to learn language or revise it on regular basis. It has some of the interesting exercises that you can work on for learning language. It also has voice recognition feature to check your pronunciation for certain words. This app is a must download if you're learning any foreign language. The app is free of cost and is suitable for any age to learn foreign language. You can download this app for free on Android and iOS. The app lists some of the free and paid online courses on the web. It also has few courses of it's own to stream for free to users. Most of the courses on Coursera are paid and requires payment if you choose to get certification. It also has option to check and grade your work on the course. It has forum system where you can ask the questions. You can also submit your assignments online. There are some of the courses offered by Universities such as Yale, Harvard, MIT and few others. However those courses costs a lot of money. So your best bet is to learn from the free track. There are not many good courses on free track. However every year some universities become generous and release some good free courses. You have to get into the that track by keeping tab on their blog updates. Some good courses to learn are related to personal finance, small business, big data analytics and psychology. You can download the app and there is no charge for streaming free courses. The app is free on Android and iOS platform. There are many inspirational and educational seminars that are being shared by TED. They also have this community where people share new ideas and concepts. These lectures can be streamed on your mobile using an app. You can also check out the website which has more options than this app. 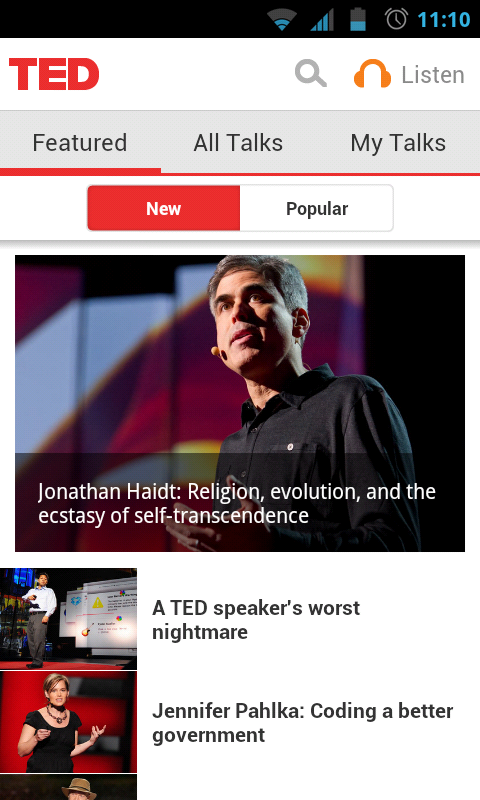 TED content is categorized in multiple categories and you may find some of the timeless content. Some videos are inspirational and some are actionable content. There are also some videos which are designed for innovation and knowledge disruption. Some of the known celebrity like Julian Assange, Dalai Lama and few others have inspirational talks on TED. You can also view those videos on YouTube but the app is more suitable for accessing such videos. The app is free to download on Android and iOS platform. Discovery's initiative to educate people on some of the unknown things in the world. It has a large database of facts from around the world. The app features new facts and content every 24 hours. You get to read some interesting facts everyday. It doesn't allow you to view other stuff from app navigation. So far it is limited to the daily content feeds. There are no charges to access the content as of now. But it seems in future the website may go for the paid subscription. You'll find some of the nicely curated video content and fact images by curiosity. The app does require you to sign up before getting daily feeds on your dashboard. App is simple to navigate and gives you option to navigate in between the daily content feed. It is free of cost to download the app. And you can find the App on both iOS and Android. One of the most frequently used website for Academic purpose. Often ignored for being the good source of knowledge. Inside app, they feature you the default Wikipedia homepage designed specifically for app. There is also an option for randomly checking out the content. That option gives you random articles on Wikipedia. At the top of the app you will find the option to search for the content. You can also navigate in between the internal Wikipedia links and for external links you may need to use other browser. It has plenty of interesting content featured on the app homepage. You can also register and keep bookmarks of the stuff you want. The app is free of cost and it can be downloaded for Android and iOS. There are many other apps that can give you college level education. You can use the above listed websites for reference and citation for your college studies. The above listed apps can also be helpful for you to learn even if you plan on homeschooling.